Hi friends! We have made the move to Arkansas and have been here for almost two weeks now. Moving from a three bedroom home to a much smaller bunk house with no doors or closets has taught us a few things. One is that we have too much stuff. Even after purging (garage sale, craigslist, donations, trash), we have way too much stuff. We have been really creative with storage, and the folks at IKEA are geniuses. Even though we've been here for two weeks, we're still not fully moved in and organized, but we will be soon. Then I can't wait to share some photos with you! Our Springfield house is under contract (hooray!) and we close on July 3. We are in the process of making a few repairs, but we don't anticipate any major issues with the remainder of this process. Fingers crossed, folks. 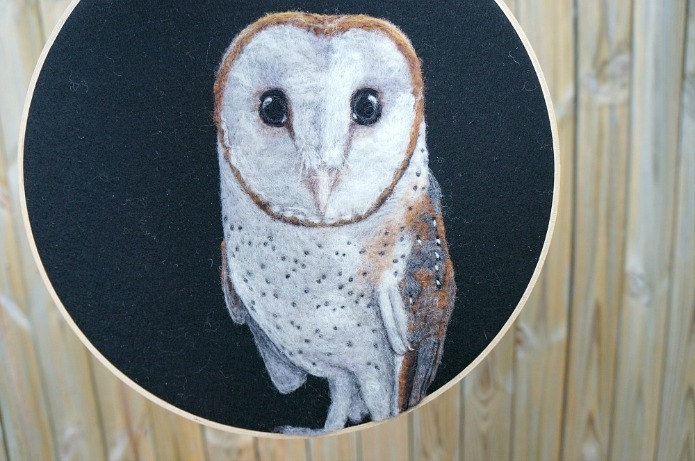 Lastly, I'll be slowly catching you up on my 52 Weeks of Felt Paintings project soon. To hold you over, here's one of my very favorite recent hoops. 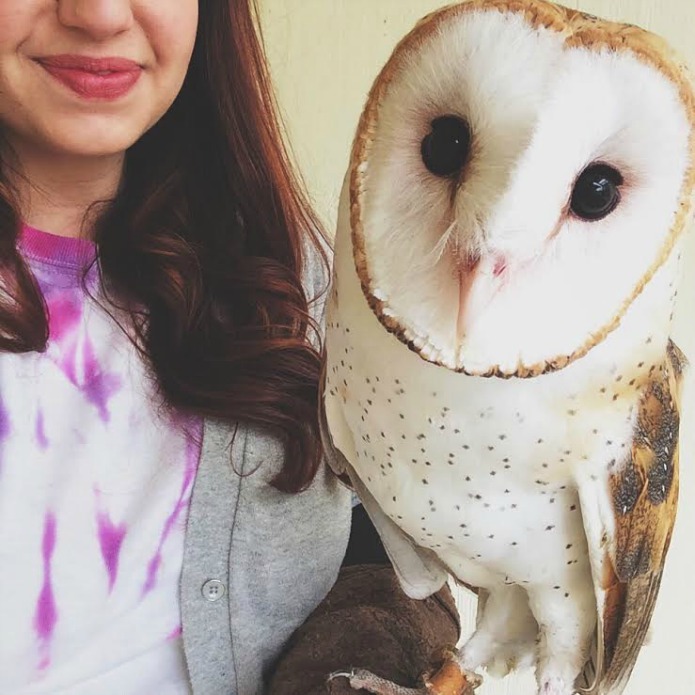 This is Silo the barn owl, one of the owls I worked with at the zoo. Such a beauty, this owl. 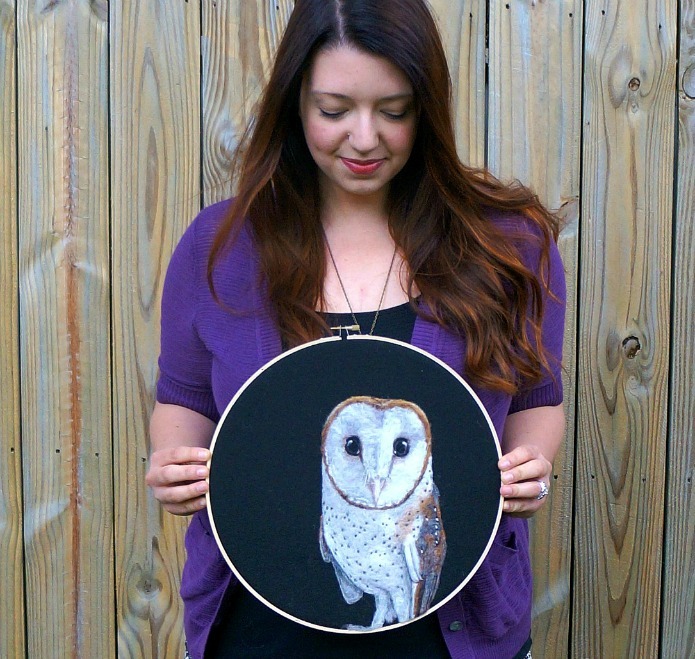 The hoop is available here and is based from the selfie I took with him below. It's so exciting to hear about your move! And I totally hear you about having too much stuff- I have been going through some major purges lately just to clean out my closet...and that's only scratching the surface! When did all his stuff get here?! ?